VRCA officially began as the Building and Construction Industries Exchange of B.C. in 1929, and its members helped build some of Vancouver’s greatest landmarks – structures like the Lions Gate Bridge and the Hotel Vancouver. Unofficially, the organization traces its roots to the 1800s when it existed as a “builder’s exchange”, an informal gathering of builders and tradespeople. Despite a massive decline in construction during the First World War, this group represented industry interests in Greater Vancouver for more than 50 years. In 1966, the Exchange added new members and adopted a new name, becoming the Amalgamated Construction Association of B.C. (ACA). The new organization brought together the Victoria Building Industries Exchange, the Vancouver General Contractors Association, The Heavy Construction Association of B.C. and the Vancouver Construction Association, with the idea of creating a mixed association of trade contractors and suppliers. 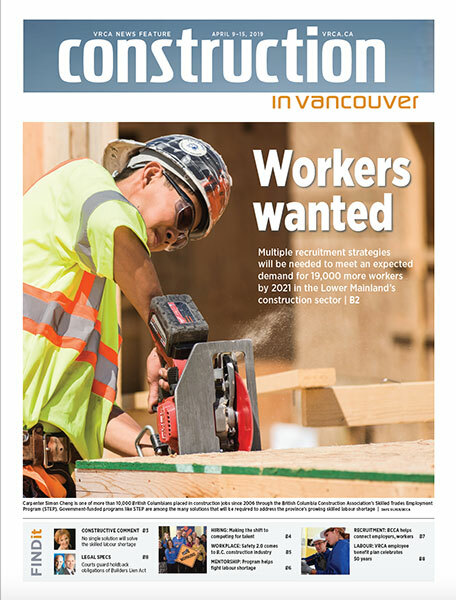 With more than 650 companies, the ACA united a diverse construction industry in B.C. and became, by far, the largest construction association in B.C. and the voice of construction in the province. For 34 years, the ACA helped shape the modern construction industry in the region, stewarding the industry through major developments such as the amendments to the Builders Lien Act in 1998. In November 1999, the association formerly ratified a new constitution and with it, a change in name, adopting today’s name, the Vancouver Regional Construction Association. In June 2009, the association celebrated its 80th anniversary. Today, our members are involved in projects like the Hotel Georgia Restoration, BC Place Roof Replacement and Facility Upgrade project, VanDusen Botanical Garden Visitor Centre and the Surrey Central Library.